I belong to a CSA, and at certain times of the year I get a lot of Swiss Chard and Kale. So much, in fact, that I have begun trying soup recipes to use it up faster. This is a quick soup that is quite delicious and easy. It takes about 10 minutes to make. 1. Heat a large saucepan over medium-high heat. Add onion and garlic to pan; sauté 5 minutes or until tender. 2. While onions cook, pour broth into a microwave-safe bowl; microwave at HIGH for 3 minutes. Add hot broth and chickpeas to pan; bring to a boil. 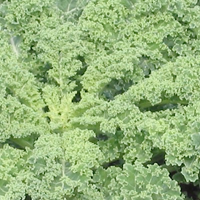 Stir in kale and 1/2 teaspoon pepper; cook over medium heat 6 minutes. Sprinkle with cracked pepper, if desired. Side note: I like to grind up the ingredients a little, but it is fine without grinding. Whether you've found brittle lace or discolored quilts in antique stores or your grandmother's attic, you know the value of protecting stored textiles. The pang of lost chances hits you as you think, "Oh why didn't they take better care of this?" So this year, this generation, as you store stitched ornaments or put away unfinished needlework until you can get them framed, take the right steps to preserve the keepsakes. Over the years, we have worked with many museums and galleries on textile restoration and conservation, and one of the most important ways to protect anything of value starts with the material in which it's wrapped. 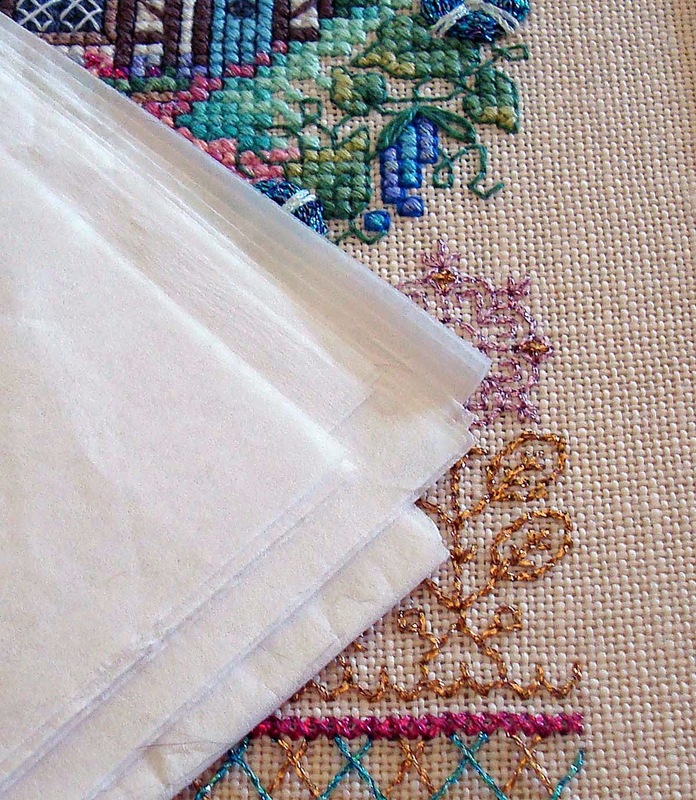 Instead of harmful plastic bags, old pillow cases, or open-air exposure, store needlework with a protective layer of Acid-Free Tissue Paper. It's the same material used by conservationists, and it can preserve your valuables too. Why acid-free? 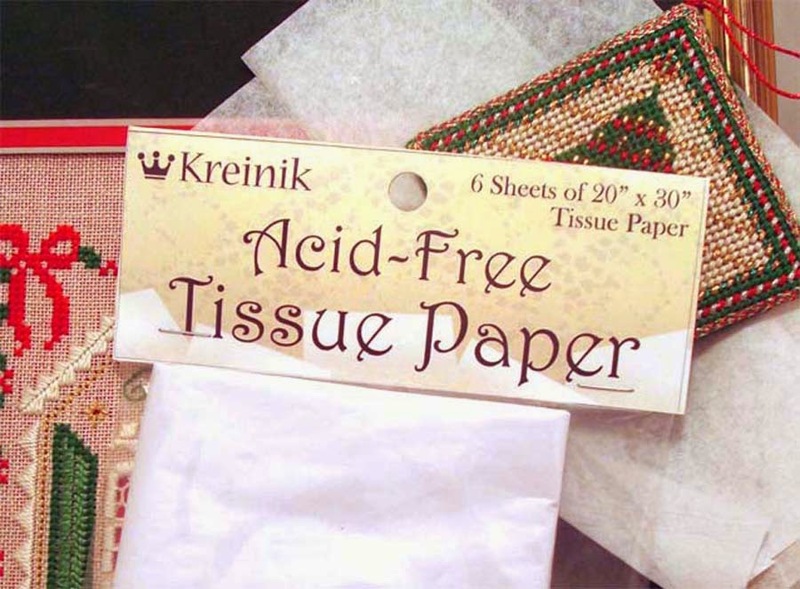 Isn't all tissue paper acid-free? Actually, it's not, so put aside that dollar-store bargain stack of tissue. Acid in normal tissue paper can transfer to textiles over time and cause them to become discolored, brittle, or tarnished. The specially made Acid-Free Tissue Paper, however, is neutral, unbuffered, and therefore the safest way to store textiles including cotton, wool, silk, linen and even real metal threads. 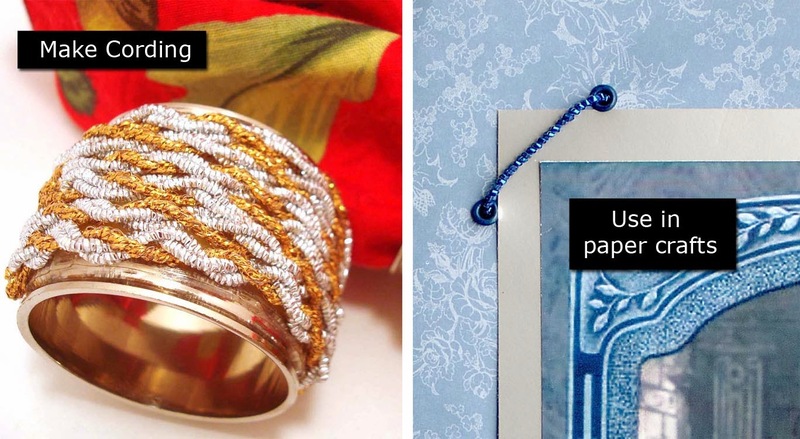 It's safe for your jewelry, photos, and other heirlooms as well. After all of the time and love you put into each handmade creation, make sure they don't become brittle or stained over the years. A protective layer of Acid-Free Tissue Paper can make all the difference in the world. 100 (20” x 30”) sheets of Acid-Free Tissue Paper. 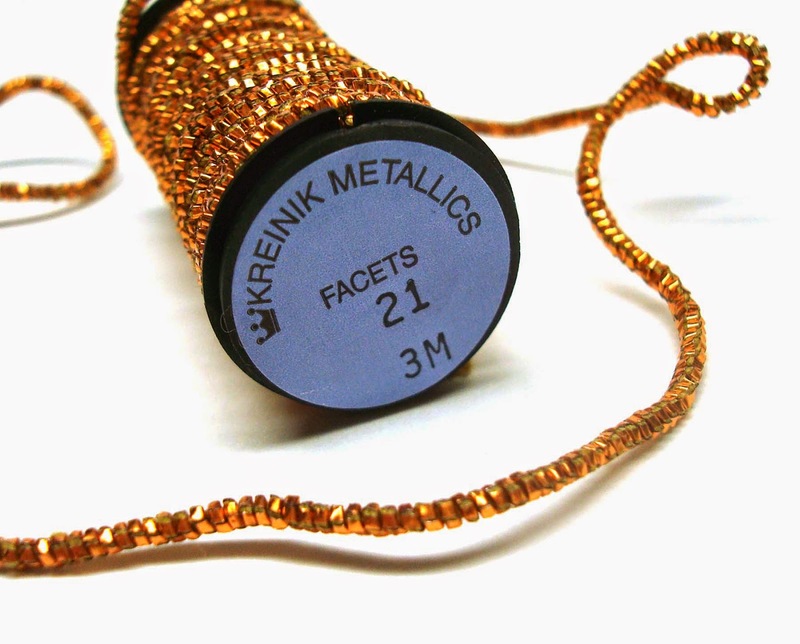 The answer: Kreinik Facets™ are bead-like threads that you couch on the surface of your design. 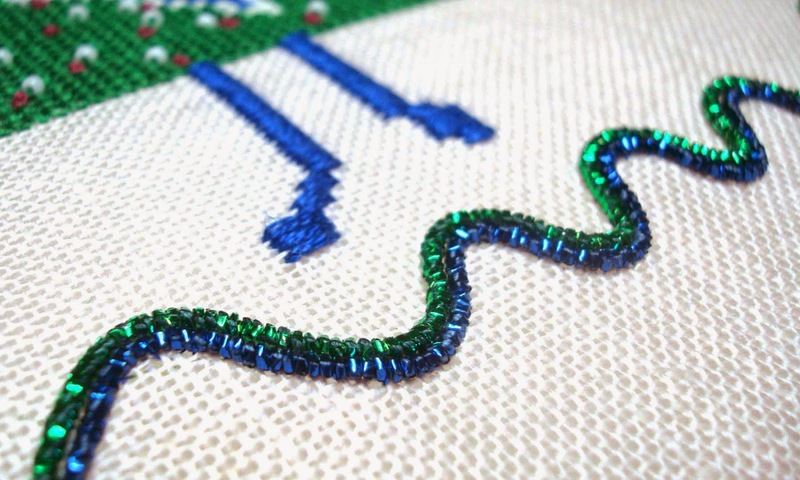 These metallic threads have a "faceted" surface that looks kind of like a cut gem—imagine the flat surfaces on each side of a cut gem. Facets™ appear to be beads strung together, but they don't roll all over the place. Pretty great, huh? 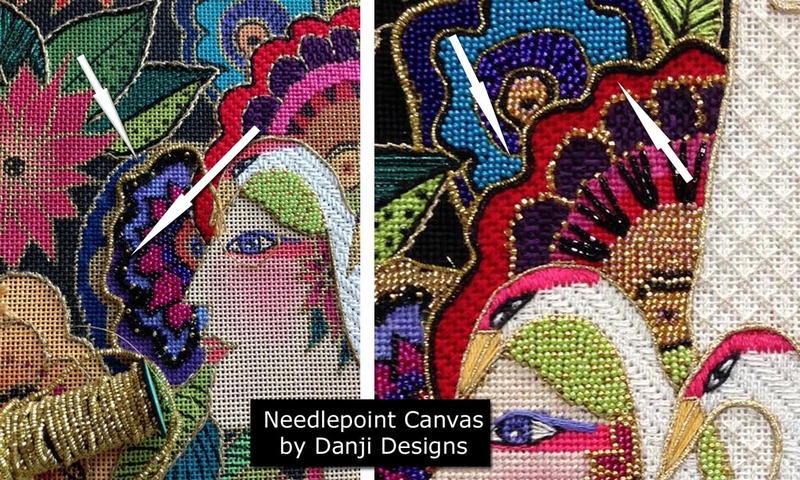 They give you the look of beads without the mess. You can use Facets™ in cross stitch, needlepoint, crazy quilting, art quilting, cording, home decor, and surface embroidery. 1. You couch this thread, as in: lay it on the surface and secure it in place using tacking stitches. This can be done by hand or by machine. 3. It comes in two sizes: regular Facets™ and Petite Facets™ (which are half the size). The smaller version makes clever "jewelry" on dollhouse miniatures or needlepoint figures. 4. It comes in a wired version, so it will keep its shape and form while you couch it onto your project. 5. It is hand and machine washable. 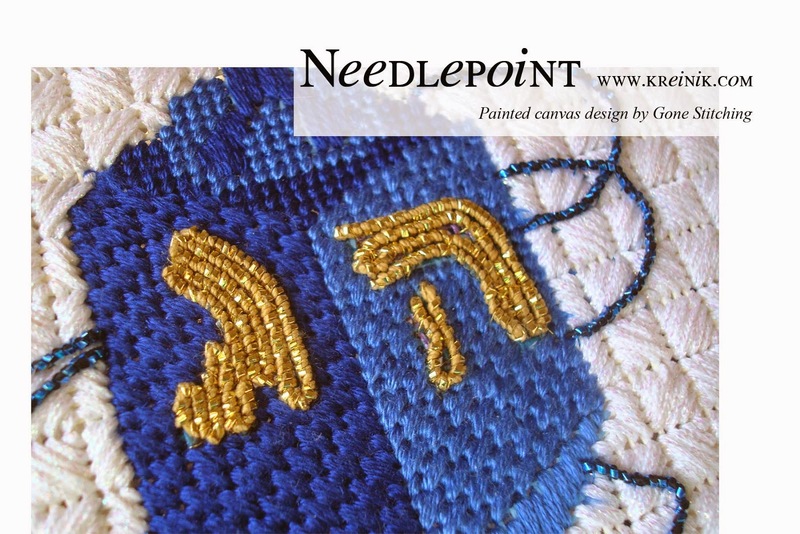 Experiment with Kreinik Facets™ in your next project. It is a fun thread!